5 stars - "Epson Workforce 1100 Inkjet Printer with CISS" by Lane, Written on 2012, 10:52/06/15 Thank you for fast delivery. Finaly I've got the printer I wanted. Buy Printer Epson Workforce 1100 with CISS and make 30 times more quality prints for the same money! Quite often, the workers of advertising agencies and the centers of quick printing services face the necessity of working with non-standard formats. The so-called "tabloidВ» can be considered as one of them (279x432 mm). 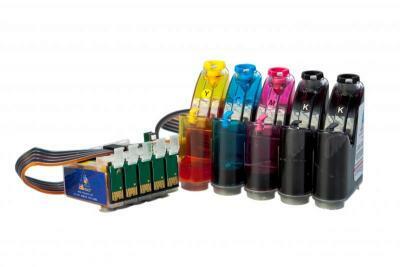 In order not to have problems with this format, you should purchase an inkjet printer Epson WorkForce 1100. This unit is characterized by such advantages as acceptable speed, printing of irregular formats, high quality and reasonable price. Of course, the capacities of the model are not limited by the printing of the above mentioned format. With this device you can make prints of up to A3 + format. And there is a possibility of a manual setup of the size of the paper carrier, what offers you plenty of opportunities. Also it is worth noting that this unit is characterized by the lowest cost for the devices of such class and features. But this does not affect the quality of Epson 1100 printer work. 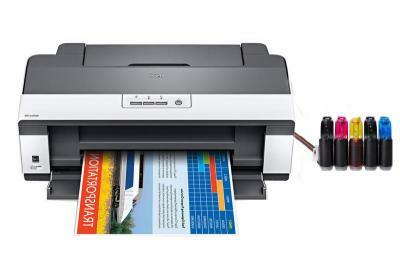 Another advantage of this brainchild of Epson is the fact that it is prints well both text and photos equally. Thereby, it is a rather versatile device. The same can be said of the A4 format printer вЂ“ Epson WorkForce 30. In addition, if you will equip your printer with continuous ink supply system, then later you can safely print large number of copies вЂ“ without "looking back" at the high cost of each print. However, it will be very problematic to use the device at large enterprises, because PC connection is possible via USB only. Setting up a network connection will take a lot of time. 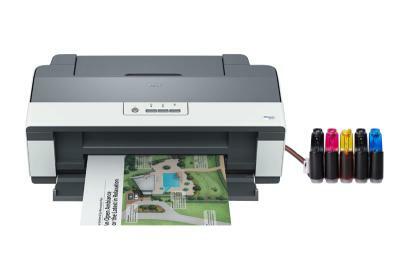 You can use it as a personal printer to print layout and documentation. But in a small office or at home, it will simply indispensable. Before buying a printer you need to check its size. Do not forget that this is still a large-format equipment. Therefore prepare a place for it in advance. The large weight of the device should be also taken into account. It is better to use the printer in the cases when you need not so much the speed as the print quality. This is explained by the fact that the Epson 1100 prints much slower than most of modern printers. But it is significantly surpass them in color rendering, color depth, drawing of fine details. Thank you for fast delivery. Finaly I've got the printer I wanted.